ABC Family was an American basic cable and satellite television channel owned by ABC Family Worldwide Inc., a subsidiary of the Disney–ABC Television Group division of The Walt Disney Company. The channel generally offered contemporary as well as family-oriented programming aimed at a wide audience, but primarily featured series and movies aimed at teenage girls and young women (age 15-30); its programming included off-network syndicated reruns and original series, feature films and made-for-TV original movies, and some religious programming. ABC Family was rebranded Freeform in January 2016. "A New Kind of Family." Part of the Disney/ABC Television Group, ABC Family was distributed in over 97-million homes. ABC Family featured programming reflecting today's families, entertaining and connecting with adults through relatable programming about today's relationships - told with a mix of diversity, passion, humour and heart. ABC Family's programming was a combination of network-defining original series and original movies, quality acquired series and blockbuster theatricals. It was also the destination for annual Holiday events with 13 Nights of Halloween and 25 Days of Christmas. ABC Family's slate of original programming included the award-winning The Secret Life of the American Teenager, critically acclaimed Pretty Little Liars, Switched at Birth, Melissa & Joey, The Lying Game, Jane By Design, Twisted, The Fosters and Baby Daddy. Full-length episodes of ABC Family series were available free and on-demand through ABCFamily.com and for purchase through Apple's iTunes Music Store. ABC Family launched in HD across the DirectTV platform and in select Comcast and Time Warner Cable markets. 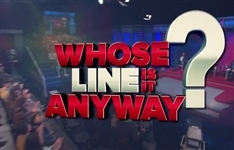 In a 3 December, 2014 article, Variety reported that ABC Family executives were proposing a reboot of the network that would occur in 2015 at the earliest, which included a renaming of the channel, a redesigned graphics package (replacing the one in use since 2006), or an expansion of programming that appeals more toward a millennial-skewing audience – as opposed to families or teenagers – among the options. During the channel's 2015–16 upfront presentation on 14 April, 2015, ABC Family executives announced that it would establish a focus on teenagers and young adults between the ages of 14 and 34 – a group representatives termed "becomers", instead of the standard "millennials". 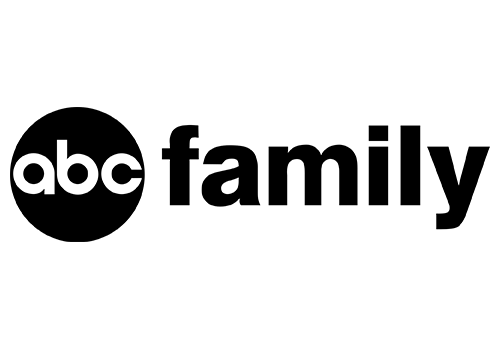 On 6 October, 2015, Disney–ABC Television Group announced that ABC Family would change its name to Freeform. An extensive campaign to promote the rebrand kicked off on the date of the announcement and encompassed the network's popular "13 Nights of Halloween" and "25 Days of Christmas" blocks during the fourth quarter of that year. The rebranding occurred on 12 January, 2016, coinciding with the winter premiere of Pretty Little Liars' sixth season. Summary: A tech entrepreneur hires a feisty blogger to be his personal chef despite the misgivings of his aide, who would prefer a celebrity chef for the job. Summary: Comedy show where the humour comes from improvised sketches. The contestants are drawn from a pool of well known comedians and improv actors. Summary: Baby Daddy is about a young man who becomes a surprise dad to a baby girl when she's left on his doorstep by an ex-girlfriend, changing his life.